Bad wrist shot, In thumbnail. No need to thank me. They are good aren't they, I have tried many different rubber straps but these are the only ones I like and find them very comfortable. So much so I have 12 of them from both Borealis & Obris Morgan in various colours and sizes 20mm 22mm & 24mm. Both companies sell great straps but the Borealis is the better of the two being more supple and closer in appearance to the original Isofrane. On the left is the Obris Morgan and to the right is the Borealis. 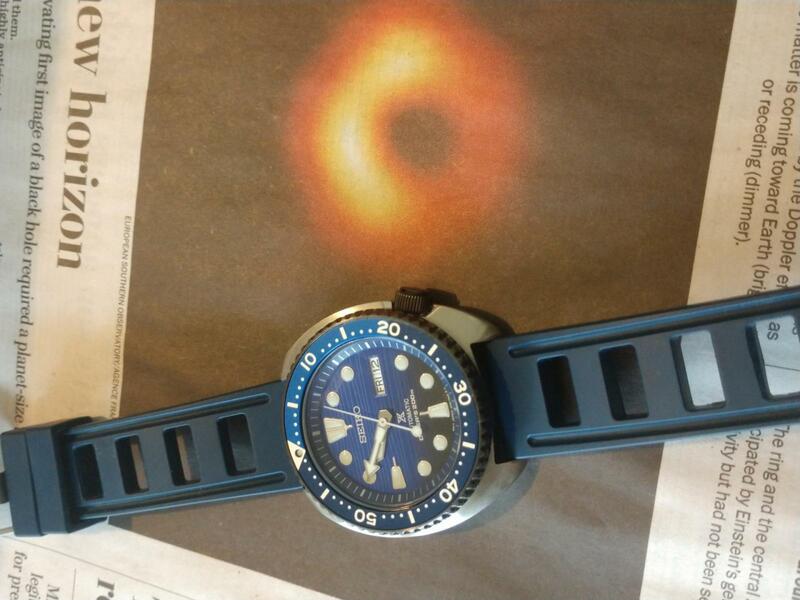 Not sure of the brand got it in a lot buy with some other dive straps but I bought the lot specifically for this blue vented strap. 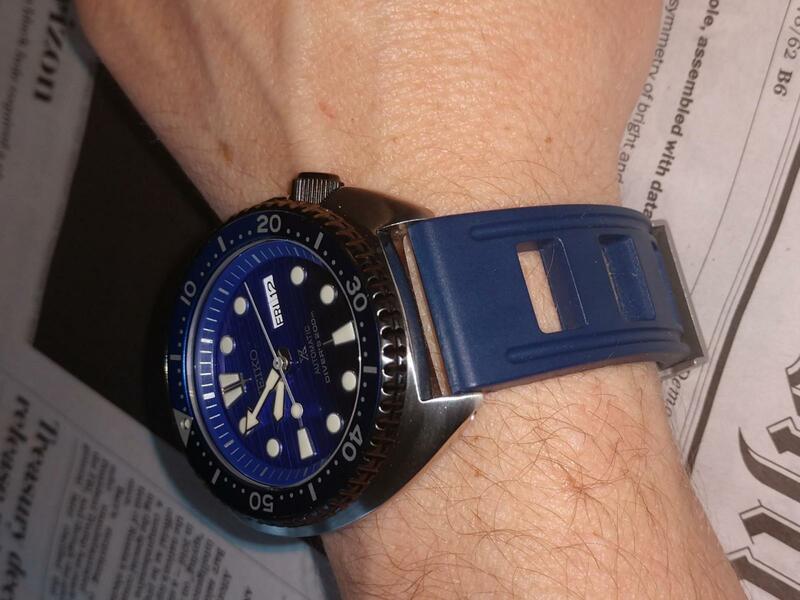 A little stiff taking some breaking in time but looks cool and keeps my wrist dry. The one you have looks like an Obris Morgan it has the same ladder style. They do loosen up and shape to your wrist. This is so kind, and cool of you MDNTRDR. Just is the best ! with an already exceptional watch. many years ! ..Wow, such a neat post ! Thanks so much !!! 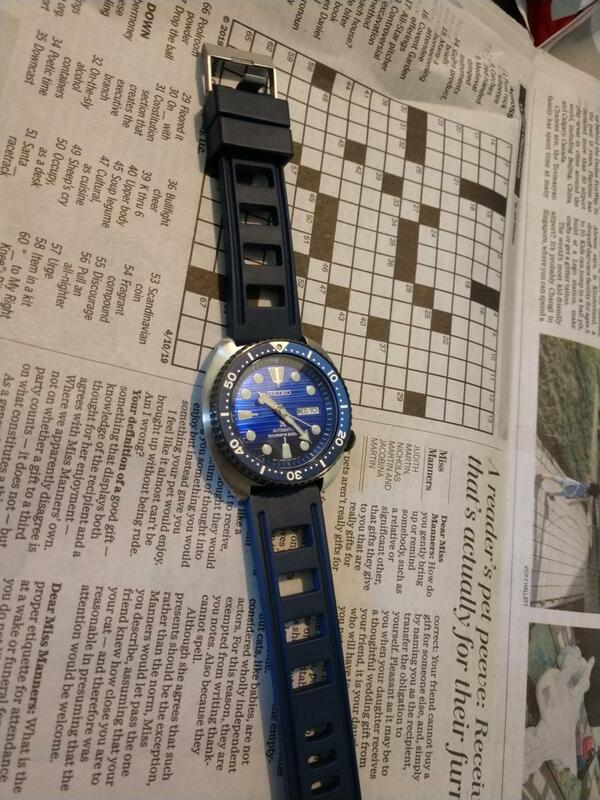 Yes, the right strap can transform a watch completely! I do understand the mechanics behind the 'harmonica' style dive straps but I'm not a fan. 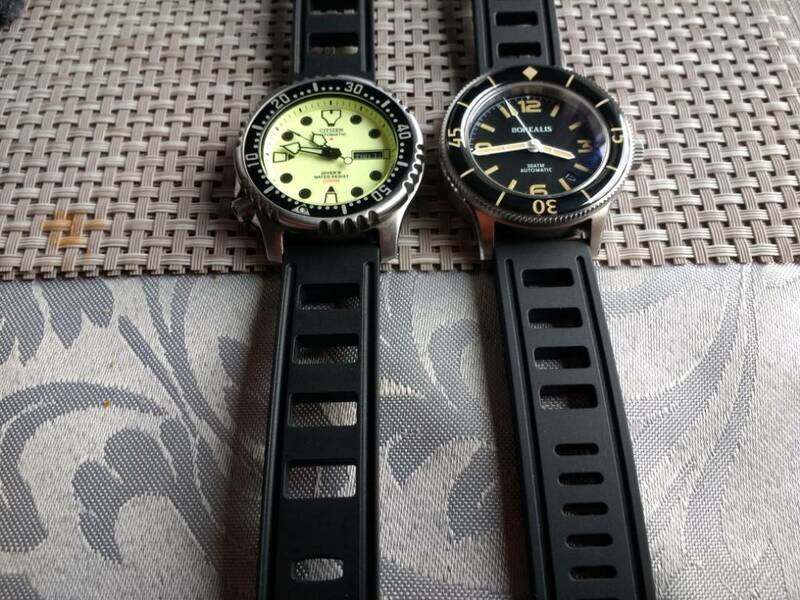 I also own a couple of Borealis straps in two colours and one original ISOfrane. The latter is a tad expensive to my taste but it came as a package deal with a Helberg. I prefer real rubber over silicone. Silicone straps tend to be dust magnets. Good choice for a fine watch! 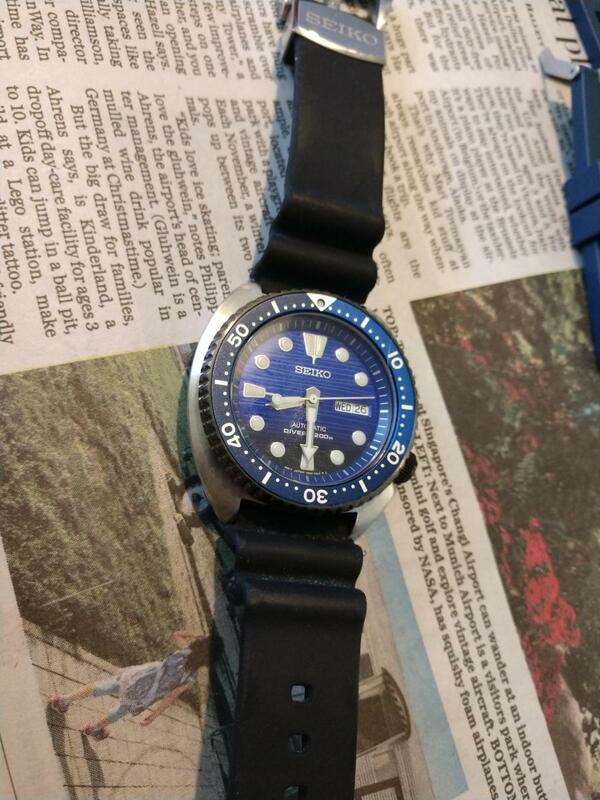 You could even try a waffle strap like the one Seiko issued with their earlier watches. I'm a fan of those. Looked for a waffle strap in blue also just happened to get a really good deal on the lot. So I though I'd give it a try.